This picture is not at all representative of what the Linkou campus looked like, but I really liked this lake. 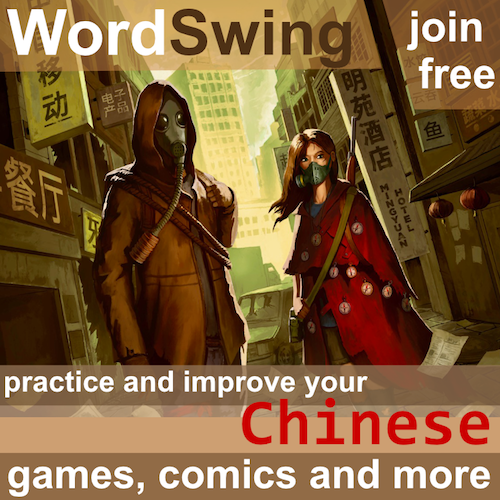 It’s time to continue the story of how I learnt Chinese. In previous parts, I have covered my first two years of learning (first in Sweden, then in Taiwan), as well as why I started learning in the first place. You will probably get more out of this article if you have read parts 1-3, but it’s not strictly necessary. Looking back, it’s easy to create a coherent narrative leading up to the present moment. It seems inevitable that I would be here seven years later, spending most of my time on Chinese language education in some way. But that would be a lie. There were many decisions along the way that were far from obvious when I made them. With hindsight, one of the most important ones was the one leading up to my second year in Taiwan. As I wrote in the previous part, I received a scholarship to study Mandarin in Taiwan for one year. After that year, I had reached some kind of conversational fluency, but I didn’t think my Chinese was good enough to make a living from. The decision, then, was to either stay for another year, which would firmly put me in the advanced category, or go home and continue my teacher education. As you probably guessed, I decided to stay for another year. 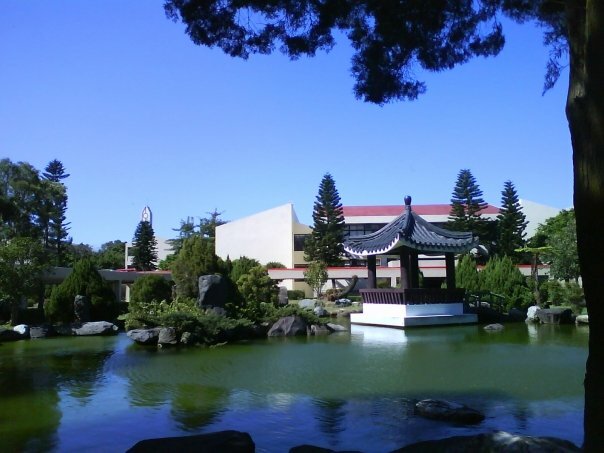 I spent one semester in an undergraduate program at National Taiwan Normal University for international students learning Chinese, and then another semester at Wenzao Urusline University of Languages (then College). In this post, I will talk about what I learnt during my second year in Taiwan. I hope this help others in similar situations or at least satisfy the curiosity of some readers who have asked about my own story! When I first arrived in Taipei to start classes, I was taken by surprise. I hadn’t spent enough time researching the program I was to begin. Rather than being located on the main campus in the heart of Taipei, the program was located in Linkou, almost an hour by public transport from the city centre. Other international students were more annoyed by this than I was, but it certainly contributed to a bad start of my third semester in Taiwan. This combined with the fact that I had great difficulties finding a decent place to live brought me close to packing up and going home. I’m not sure how close I was to actually doing that, but in retrospect, I’m glad I didn’t. Once things had settled down, classes had begun and I had gotten to know my classmates, things turned out to be quite good. 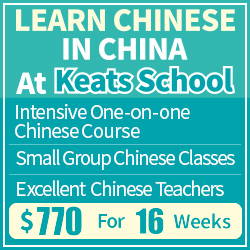 This program was designed for international students bent on learning Chinese, but since it was also a normal four-year undergraduate program, it included lots of things I would never have encountered elsewhere, such as physical education, other university activities and obligations as well as a more traditional approach to language learning and teaching. It makes a big difference if your school is run as a company compared to if you’re just a student among many at a state-run university. I didn’t much appreciate this at the time, but it did give me a much better insight into higher education in Taiwan. A page from the textbook we used at NTNU. The main drawback was that even though we on paper had several different classes focusing on listening, speaking, reading and writing, what was actually done in the classroom had little to do with the topic of the class. All of them were about learning more vocabulary and going through ever-increasing volumes of text. We actually spoke more in listening class than in conversation class simply because the teacher was better. Furthermore, we were so swamped with homework that I had little or no time to compensate for the things I didn’t learn in class. I did have time to talk some Chinese on my spare time, but not nearly as much as I wanted. We had almost twice as many hours of class per week compared to the average language centre. Still, I was in a class full of great people from all over the world who spoke better Mandarin than I did. We had lots of fun and despite the big class size and the largely unidirectional teaching, I learnt a lot of Chinese. However, as we approached the end of the semester, I felt that I wouldn’t be able to cope with this kind of learning for another semester. By this time, I had definitely abandoned any plans I might have had to actually finish the BA program I had started, which meant that I had already decided to go back to Sweden after the spring semester. So, I reasoned that if I only had one more semester in Taiwan, I ought to really make the most out of it. I considered a few options for what to do instead, but finally settled on going back to Wenzao in Gaoxiong. I was already familiar with the institution and thought my chances of getting into a small class with other advanced students were high. It turned out I was right. I ended up in a class which nominally had about six students, but it was not uncommon for two or even three to be absent. Towards the end of the semester, a few had dropped off entirely and we were often only two students in class. Sometimes, I enjoyed one-on-one tutoring! This semester was the perfect follow-up to the one I had just spent in Taipei. I was able to keep learning in class, but I had plenty of time to actually use the Chinese I had learnt outside class. The cramming during the previous semester was great for passive understanding, but it was only during this semester that I was able to activate that knowledge and make it truly mine. I studied a ridiculous number of hours per week during this time. I signed up for three different help teachers (Chinese teachers in training looking for students to practice on). Before I leave this chronological narrative, I’d like to say a few words about the learning materials I used during my second year. At NTNU, we used a combination of upper-intermediate or advanced textbooks for second language learners and Chinese textbooks for native speakers (middle school). 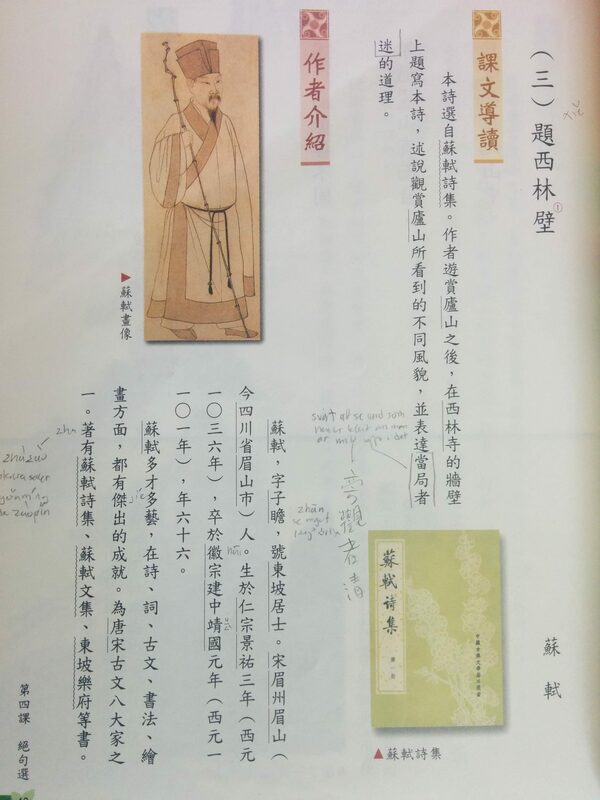 They contained a variety of modern texts and classical Chinese, always with helpful commentary and footnotes. I have yet to write an article about using this kind of textbook as a second language learner, but I think that it’s a great idea in general. At Wenzao, we only used authentic texts. The first textbook we used is called The Independent Reader (從精讀到泛讀) and is a collection of authentic articles, essays and texts about a wide variety of topics, including philosophy, politics, economics, culture and much more. In general, this book was really hard and sometimes also suffered from slightly outdated formal language. 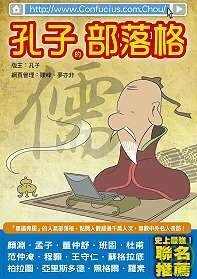 The second book we used was not a textbook at all, but a book called 孔子的部落格 (Confucius’ Blog). It’s an attempt to introduce and discuss the philosophy of Confucius through the format of a blog, as if it were written by the master himself. 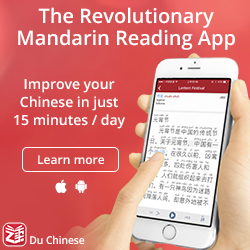 Each chapter starts with a quote from The Analects (論語) and then a partly fictional account of events and thoughts related to that passage. There are also comments left by other philosophers (ancient and modern). We used this textbook to look at classical Chinese, but mainly as an opening to talking about Confucianism, society, life and everything. Naturally, I learnt a lot during this year, so here I’ve tried to summarise a few insights that I think will be helpful to other students. Going to class is useful even at an advanced level – I strongly believe that going to class is useful even as an advanced learner. It gives you structure and encourages you to keep learning. Sure, if you feel no problem whatsoever motivating yourself to learn more, then perhaps you don’t need it, but it does increase your minimum output a lot. It also gives you an environment which is purely meant for learning. You really need to pay attention to what you’re missing – The more advanced you become, the less teachers will care about providing the whole picture. This is understandable and not their fault, it’s simply not possible to cater to the needs of many advanced students with completely different skill sets. Competent teachers will find a middle way and go for it. Make sure what that middle way includes, but more importantly, what does it leave out? Learning with and without a textbook – In general, I think textbooks are good. You need to have come a long way down the road to literacy to be able to pick a novel or newspaper and use it as a learning resource (or you need tons of scaffolding and other support). I haven’t tried many really advanced textbooks (advanced here meaning beyond any standard textbook series), but they are certainly worth looking for. Still, don’t get stuck in the textbook too long. I think a combination is best. The number of people in your class matters a lot – This is something I have said many times before and am likely to say again. I think this is the most important factor when you decide which course to take. At NTNU, I had almost twenty classmates and little spare time, meaning that my comprehension and passive vocabulary sky-rocketed. At Wenzao, I was in a very small group, which allowed me to transfer all that passive knowledge into practical language competence. The thing is, you can do that passive learning mostly on your own, but the active practice you get in a small class or with a private tutor is much harder to get at. Going back to plug gaps at lower levels is very good – I usually advise students against learning directly from frequency lists or word lists prepared for certain exams, but one legitimate use of such lists is to plug gaps in your earlier knowledge. During this year, for example, I went through the 3000 most common (individual characters) and learnt the meaning of all those I had missed. This gave a tremendous boost to my reading ability. I have written more about that project here. It’s always difficult to quantify learning, but I wrote this report after leaving Taiwan. In essence, normal speaking and listening were not a problem, but formal listening (such as news broadcasts) remained a problem. I think this was the time when my Chinese in general went from being a bit awkward to being more natural. I had about 11,000 cards in my Anki deck at the time, which includes both individual characters and words, but very few sentences and phrases. Reading a translation of Robert A. Heinlein’s Citizen of the Galaxy, I averaged about 61 characters per minutes. Understanding was seldom a problem when reading, but the speed was. I’m sure I’m not alone with this problem! In the next instalment, I will cover the two years I spent in Sweden after returning from Taiwan. I kept studying, but mostly on my own. I also finished my teacher’s education (teaching Chinese and English for Swedish high school) and took a few extra credits in Chinese at Swedish universities. But more about that next time! Really enjoying this series. I’ve been reading this site for almost three years now and always find myself back here every few months seeing if there are any new ways to improve my study habits. Thanks for creating such a wonderful site! It’s really neat seeing your path to fluency. I’m a little past 1.5 years in and doing my final semester of full-time study here in the Mainland and it’s always motivating to see someone a few years further ahead. Very interesting to see all the mistakes and successes as well, and how everyday life and a long-term goal like studying Chinese give and take and lead to places you wouldn’t expect over the course of several years. 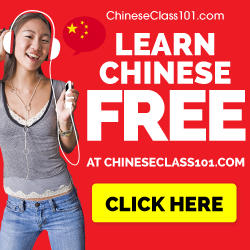 I’ve been putting off a post about why I started learning Chinese for a while now. After reading this, I’m kinda motivated to give it another shot. In interest in Daoist philosophy was also a big motivation for me and I just started studying Chen style this semester. Anyways, looking forward to part five!